Before you head out onto the Cycle Trail please click HERE to read or download your copy of the Alps 2 Ocean Safety Suggestions for each section. This page was last updated on the 15/04/2019. Please prepare for the conditions and weather before you set out. In summer for example, please have plenty of water with you, wear sunblock and don't forget your sunglasses! Heading in to autumn the weather can change quickly, please take something warm and a separate waterproof layer just in case. TRAIL CLOSED between the Tasman Point helicoptor drop off point and Jollie River Car Park due to extreme flooding. The helicopter pad is currently under water as will be much of that section of trail. We will not open this section again until the flood has receded and we have had a chance to assess the Trail damage. .Logging operations are in progress on this and Section 2 until further notice. Two or three very large logging trucks are using Braemar and Hayman Road each day. Logging operations are in progress on this and Section 1 until further notice. Two or three very large logging trucks are using Hayman and Braemar Road each day. Anticipated aerial spraying operations of the western side of the Pukaki River bed have now been completed and the Pukaki Flats section of the Trail is now open once again. It is anticipated that spraying of the eatern river bed will continue next week (subject to weather conditions) however this will NOT require the Trail to be closed whenever conditions allow that to happen. Thanks for your understanding and apologies for any inconvenience caused. Ohau is no longer flowing over the weir and the trail is now open at this point. About 100m before the Historic Woolshed (from Omarama) there is a 'speed bump' across the road. Not an issue for bikes but support vehicles may want to approach more slowly. .
No updates. Some minor variations in surface outside Omarama, otherwise trail in good condition. A new section of trail is OPEN for riding on the lake side of the road just past Wharekuri ruins. The section of trail on the south side of the road by the Wharekuri ruins is NOT OPEN and leads to a dead end until we complete a bridge. Creeks still need to be crossed using the road bridges in the interim with normal road rules applying. 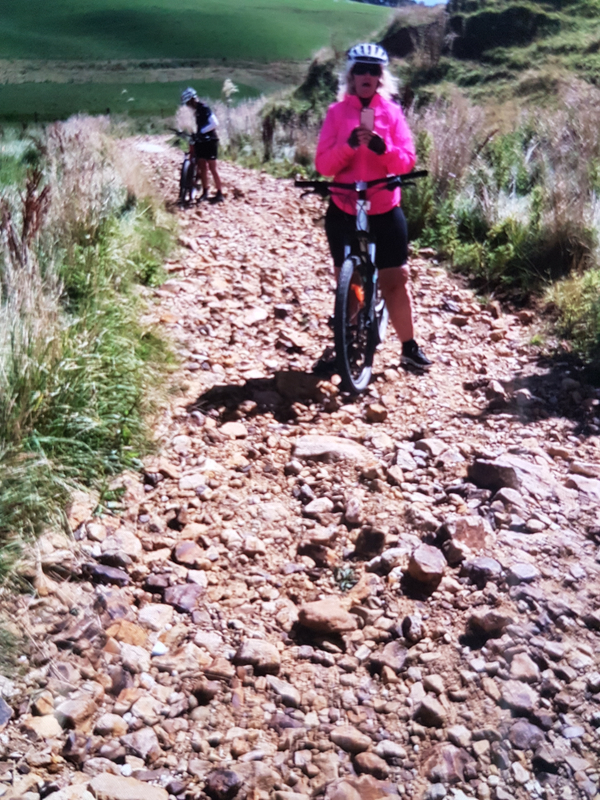 The extension to the trail past the Kurow Bluffs is able to be ridden. Sections of trail not yet available are marked by cones. Meridian Energy advise the road crossing on top of the Aviemore Dam will be CLOSED to all traffic, including cyclists on Monday 15th April 2019 from 8.15 to 15.00. Alternative dates are Tuesday 16th or Wednesday 17th April if the weather does not allow the work to be done. Cyclists will need to use SH83 from Otematata to Aviemore Dam. Moderate rain events could cause the rivers to rise quickly (and receed). The river beds will be rocky/shingly and soft going in places (even if they are dry) so please use you judgement and dismount if you are unsure of what lays in front of you. We are still working through the November flood repairs on this section (the cost of putting these repairs right is expected to be about $380,000). The trail is uneven in places and riders will need to use additional care and attention while riding this section. Pig Island to Elderslie. These repairs have now been completed and the diversion has been removed. There is a new subdivision going in on Andrew Don Drive, with a large construction vehicles using the gravel road that takes you around the area of construction. As a result the gravel road has a great deal more traffic on it and the Trail route is not well marked. Please use caution when using this section and be aware that large vehicles need more room to turn, and if you are behind them - if you can not see their rear view mirrors, they can not see you! PLEASE BE AWARE - Alps 2 Ocean Trail users need to be aware that erosion and washouts are a constant hazard and care should be taken. As always, weather conditions can change quickly, so you will need to regularly check weather reports for updates and prepare for your trip accordingly. Service from the Ohau Weir camera is not 100% reliable as it does not always update hourly. If you wish to check on the Lake Ohau Weir status and lake levels you can also visit the Meridian Energy website (www.meridianenergy.co.nz/about-us/our-power-stations/lake-levels) - you will need to refer to the current lake level indicated in the graph of the Lake Ohau section for information of the current lake level. Levels above 520.4m result in water discharging over the outlet weir and into the Upper Ohau River.